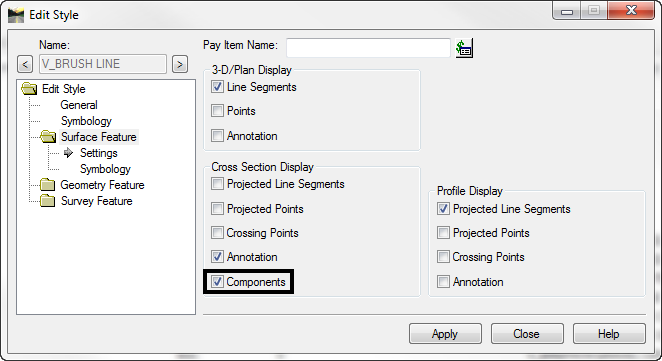 Now that you are moving to OpenRoads Technology, you understand Element Templates will be part of your configuration. Element templates can be created by exporting Feature Styles from your XIN and used to create Element Templates. Here is how you go about it. 1. Make a copy of your original XIN. The copied file requires some edits before exporting to an XML file. 2. Open the InRoads Feature Style Manager in SS3 or SS4. Two things need to be enabled to export your Feature Styles, Surface & Component settings. 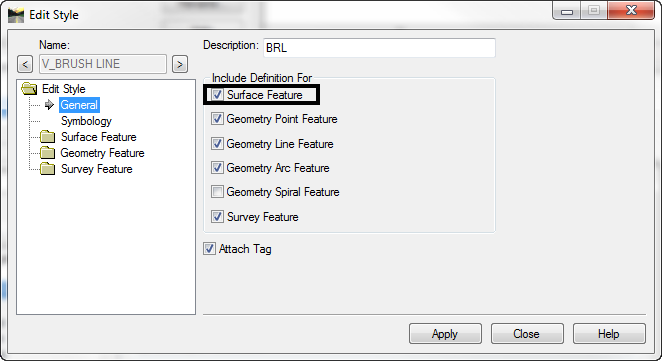 First the Feature Style needs to be a Surface Feature. For the most part I would think the majority already are. These edits are why it’s a good idea to work with a copy of your XIN. Second the Feature Style > Surface Feature > Settings > Component needs to be ON. Might as well put your headphones on and start clicking, each Feature style needs this toggled on. 3. In the Style Manager dialog box toggle ON Include Surface. 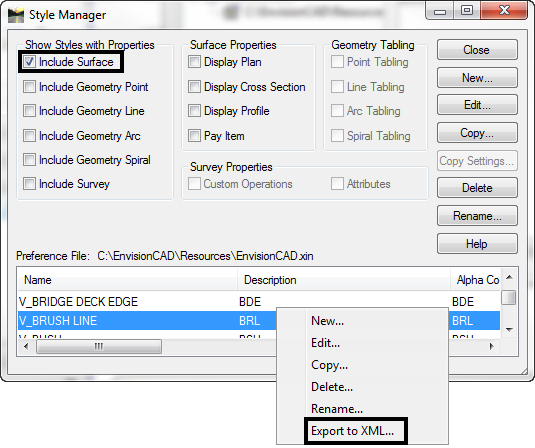 This will filter your Styles and make Export to XML available from the right click menu. 4. Right Click on any Feature Style name and select Export to XML… save the file. 5. From the MicroStation pull down menu Element > Element Templates. The Element Templates dialog will appear. 6. From the Element Templates pull down menu File > Import > From XML file… select the XML file. 7. Review your results in the Element Template dialog. Item modifications and folder organization can be done at any time.